JB Planning Associates proactively engaged with the Odiham and North Warnborough Neighbourhood Plan Steering Group to gain a clear understanding of the community’s aspirations for both the site and the wider area. Concept plans were prepared and agreed with the client and submitted to the Steering Group for consideration. This resulted in the site being identified as a preferred allocation within the Draft Neighbourhood Plan. JB Planning Associates drafted and submitted representations at each round of public consultation. 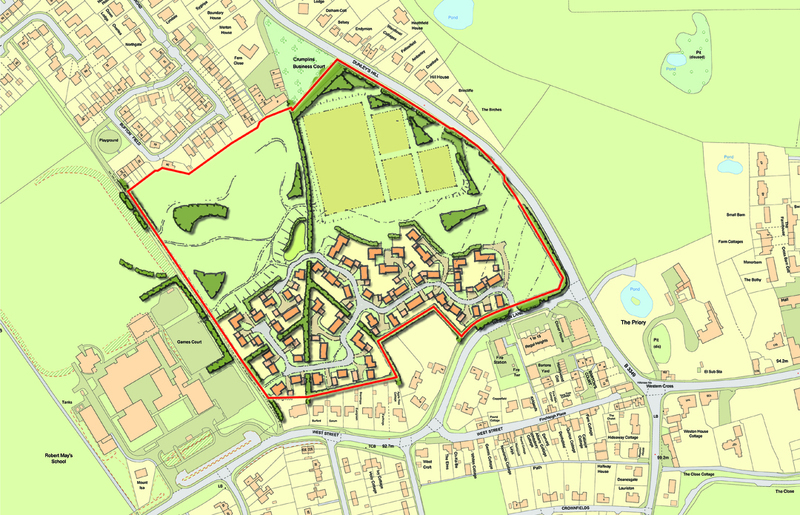 The final outcome being that the Neighbourhood Plan identified the site at Dunleys Hill, Odiham as an allocation for approximately 30 dwellings and 3.5 ha of public open space. Copyright © 2019 JB Planning Associates.